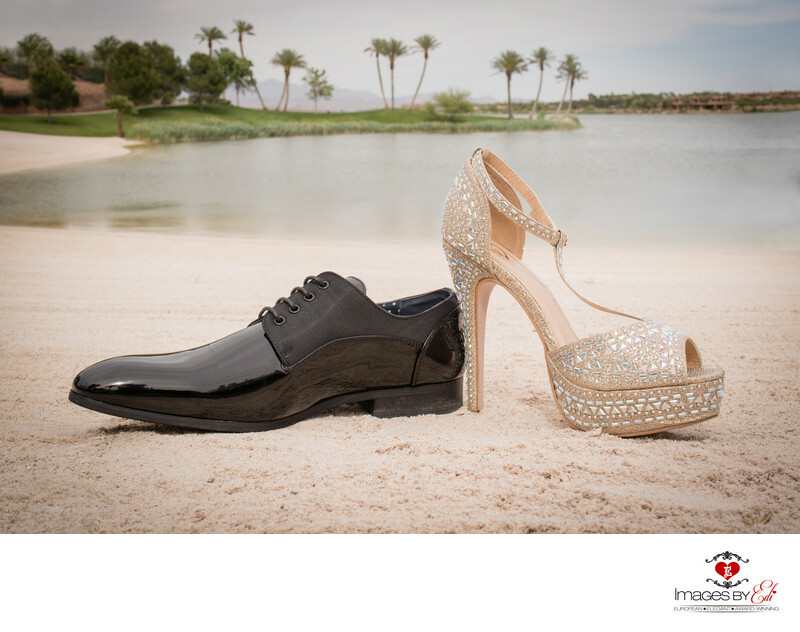 My dear friend, Julie Reed, from Julie Reed events came up with the idea combining the groom's and bride's shoes in the same image. It took a while to find the two perfect pair of shoes and a great background at Reflection Bay Golf Course. But finally I made it work and this is the final image. Location: 75 Monte Lago Blvd, Henderson, NV 89011 USA.